All those buzzwords foodies like to throw around; local, artisan, organic – they’re good words. But they tend to lose their punch when written into every food establishment’s marketing copy ad nauseam. 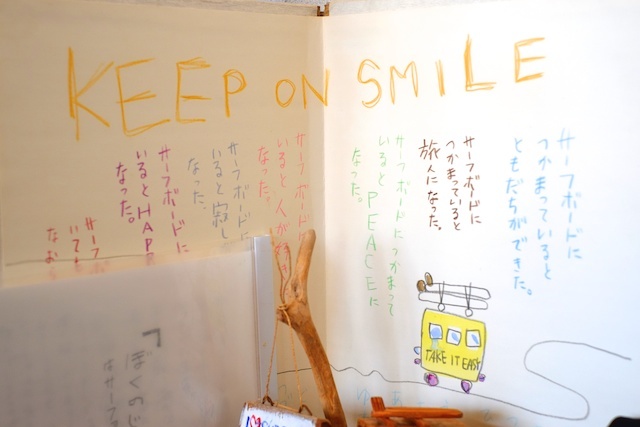 While I was in Tanegashima, I had the rare privilege of meeting people with businesses that can be described with all those words, but not because their PR department told them to. Just because they are. My favorite restaurant on the island was South Border. 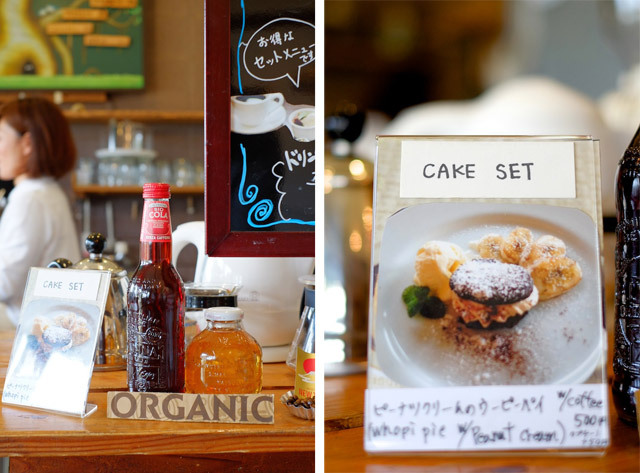 It’s a cafe owned by a cute little surfer girl named Machi-san. 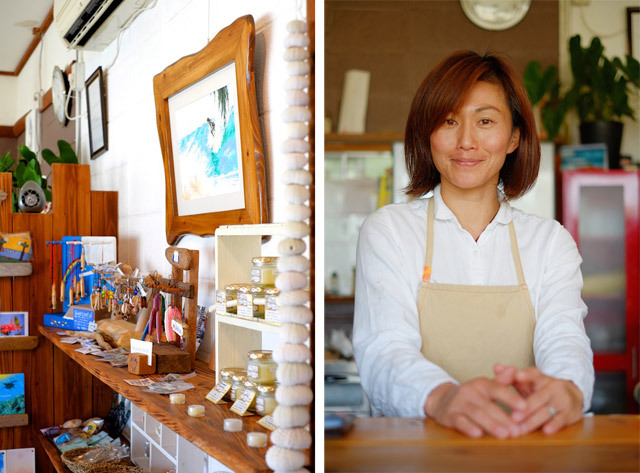 Attached to the cafe is her husband’s workshop where he builds custom surf boards. 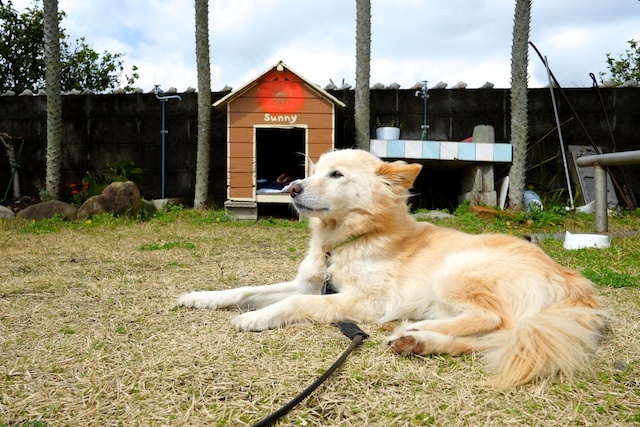 Out front is a homemade pita-oven, a dog house, and it’s resident, Sunny. Sunny is a perfect, good-natured dog who could teach Murdock a thing or two about manners. Machi-san runs the whole cafe without help most days. She takes orders, cooks, makes coffee, and waits tables. The restaurant only seats about ten, but if it’s full she’s on her feet nonstop. Machi-san is a particularly good baker. Every week or so she makes a new featured dessert like mocha cheesecake or whoopie pie. She’s got a really good sense of balance in her sweet dishes – none of which were cloyingly so. The pita oven is used regularly for, guess what, pitas. Which she stuffs with fresh veggies and house roasted meats for lunch. I ordered the avocado chicken pita pretty much every time I went in. It was delicious, and her homemade whole wheat pitas were nutty and perfect. 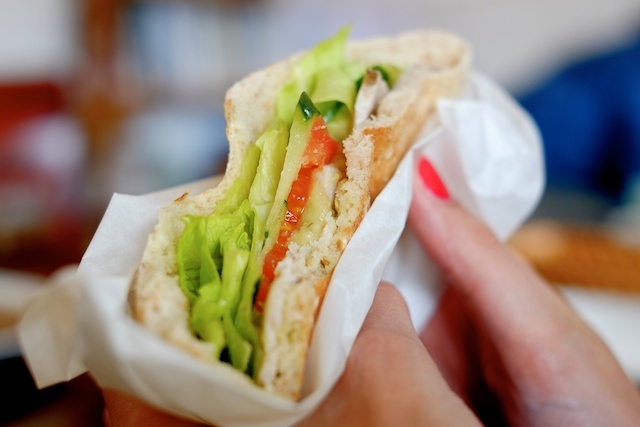 I gravitated toward this one the most though because I was homesick for turkey sandwiches. It hit the spot. Cody’s favorite pita was the pork with onions and garlic, which I also liked, but the lunch time show-stopper at South Border is the chicken curry. 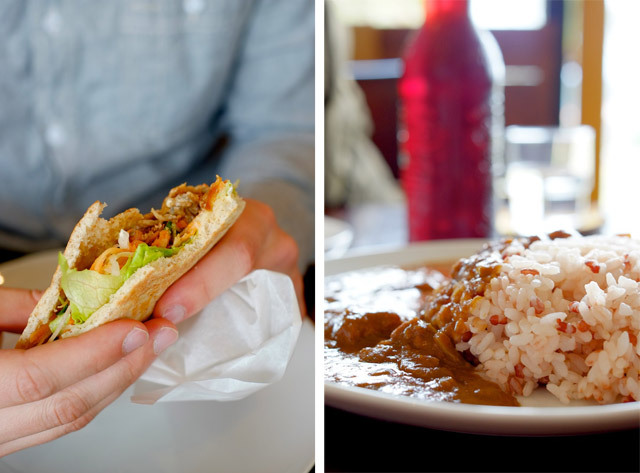 There are a lot of restaurants in Japan that serve curry, and Japanese curry is different from Indian or Thai or American versions. It’s sort of sweet and cheaply beefy when it’s bad, but when it’s good it’s rich and spicy and complex and balanced. 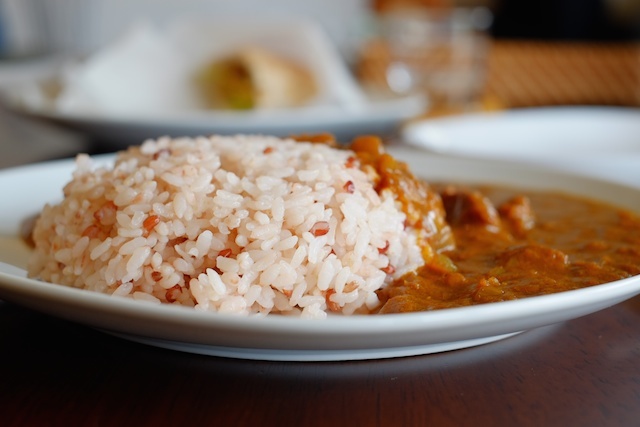 This curry was literally the first curry in Japan I loved, and the best I had the entire trip. And I got her recipe. Which I will share here in due time. 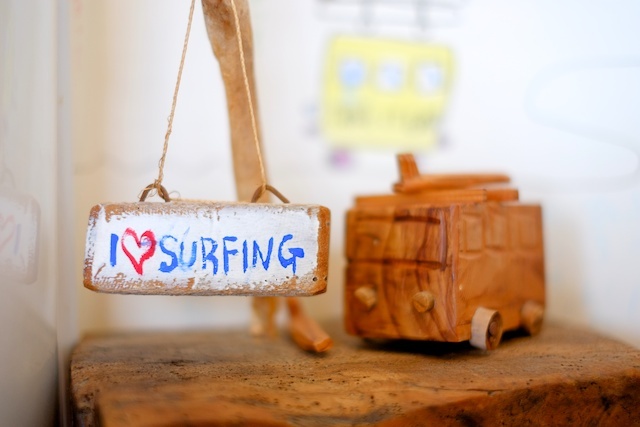 The cafe doubles as a little surf shop, selling themed trinkets and locally handmade beauty products. A bumpy translation, but nothing lost here. 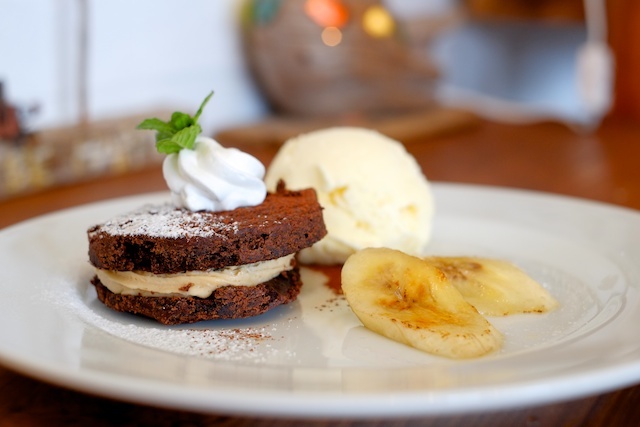 This was Machi-san’s whoopie pie with peanut cream. She got the recipe from an event that Wolfgang Puck hosted in Tokyo. I’ve never actually had Wolfgang Puck’s food, but Machi-san’s version was good enough to make me curious. 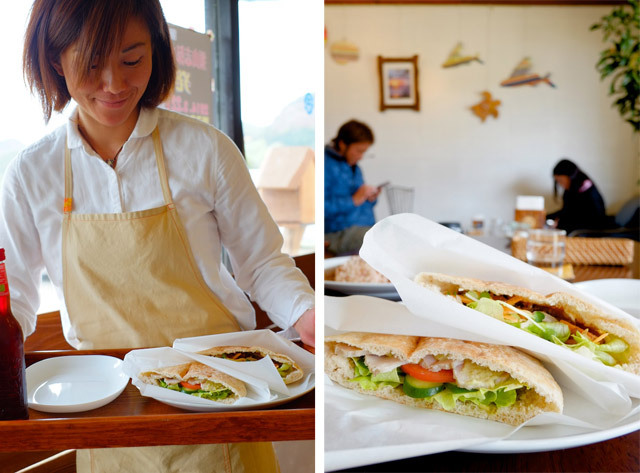 With the help of a bi-lingual Tanegashima native, I asked Machi-san why she opened the cafe. She said “I just wanted a place for my friends to hang out and have coffee when they visited the workshop, so I made one”. I miss this place, and Machi-san’s cooking and general cuteness. 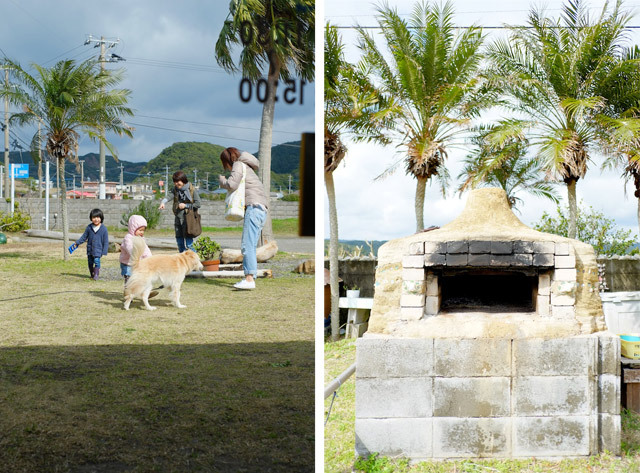 Like so many places on Tanegashima, this one was the genuine article.